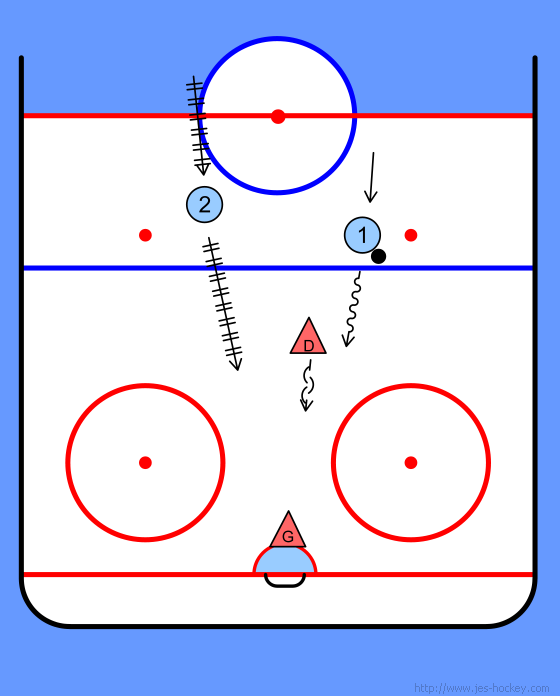 P1 with the puck enters the zone at half speed. P2 enters at full speed. P1 first looks for the pass. 1) Can I get a pass over to P2? Is the D blocking it? 2) Is the G cheating to the left side? 3) Is the G challenging my shot? In #1 if the D is taking away your passing lane you should shoot for the far post (a rebound off the left pad could go right to P2). In #2 you should take the shot - shoot to score, not for a rebound. 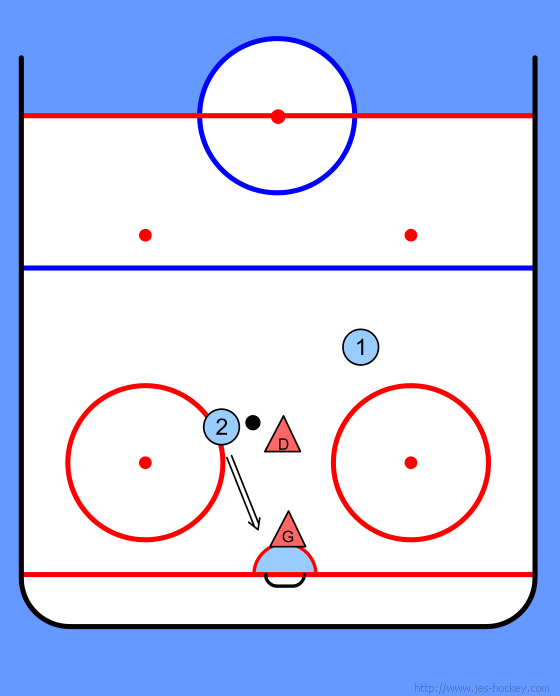 In #3 if the goalie is challenging you for some reason then as long you have the passing lane open, pass to P2. Only pass this far away if P2 is a lefty. 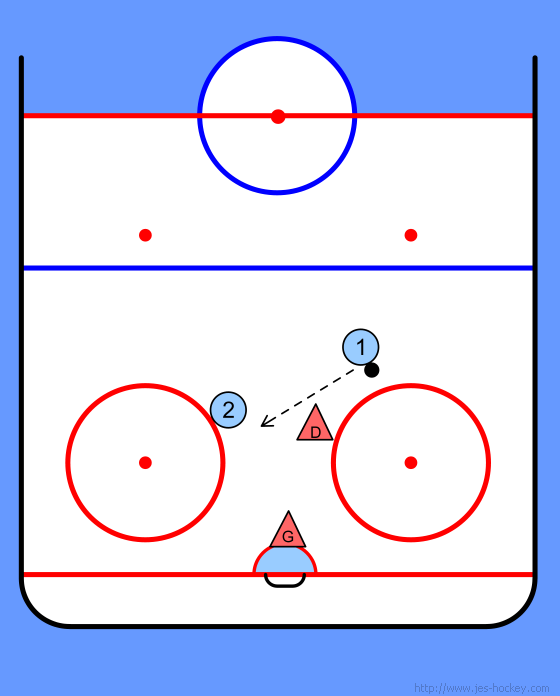 P2 can take the one-timer (there's a chance for a rebound so P1 needs to skate to the net). If P2 is a righty P1 should wait a little longer until P2 can simply tip it in - use your judgment.